Samsung has added a neat new ability to the Samsung Flow app, which lets you unlock your Windows 10 PC using your Samsung smartphone or tablet. If you haven't heard of this app before, that's understandable. Flow lets you link your Samsung phone with your Windows 10 PC and transfer files, access hotspot and now, authenticate login on the PC. Once you have the app installed on the phone as well as on the PC (downloadable through Windows Store) and configured, you will be able to login into your PC using the fingerprint sensor on your phone. Along with authentication, you will also be able to sync your phone's notifications with your PC. 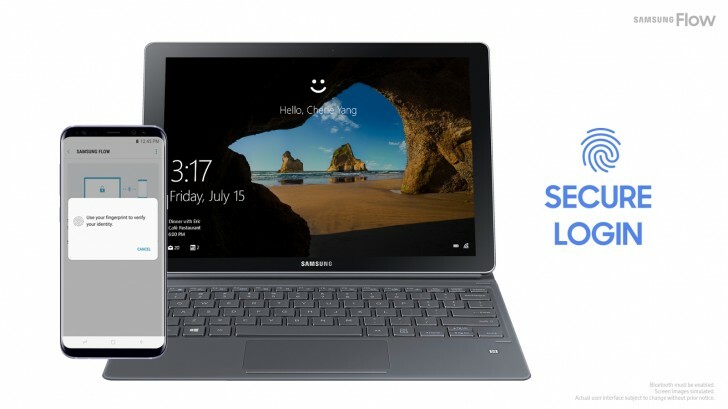 Both these features were previously only available on Samsung Windows computers but are now available to all Windows 10 devices. The Samsung Flow app is available on Samsung smartphones running Android Marshmallow or newer and Samsung tablets running Android Nougat or newer. The app requires a device with a TPM and Bluetooth 4.0, along with the Creators Update. You should write for the NY Times.